The report also lists 10 risks to the Spanish economy, which include: complacency; debt; institutional crisis; low inflation and unemployment. What’s this, a script for The Goon Show? So Spain is going down the same road to disaster as before. Can’t they see any future except build, build, build! A lot of the Costas are already looking like the old ex- Soviet blocks in Siberia. So irrespective of huge numbers of unfinished projects standing empty all over the Costas and inland, Spain thinks the way forward is to build even more, it’s this madness that got Spain into the mess in the first place, and it’s this continued madness that depresses property prices further and for longer. The average price of homes will fall if they keep building when there is already vast oversupply not being bought up. Add in huge transaction costs, as an investment Spanish property is a poor bet for many years to come. I think they should be finishing off all the half started structures and reforming or replacing the ugly tower blocks before they build anything new. There are thousands of empty properties all over Spain that need to be sold, why build more? What worries me is that the whole cycle will kick off again and foreigners will go over to Spain and fall into the same trap and find themselves with a so called “illegal” property. They should reform the property laws and give people the assurances they need when parting with large sums of money. It’s not difficult, just do it. If they really do want to kick start their economy they should make Spain an attractive place for foreigners to invest and reduce the property sale and purchase taxes, they are far too high. A few other incentives and tax breaks would not go amiss either. When I read the comments on this article I got the feeling that Spain is not allowed to recover. Firstly, Spain is much bigger than just the costas. Second, the article does not mention that again a building bananza will start. Third, all taxes need to go down not only for property sales and not only in Spain but all over Europe. You must very naive to buy an illegal property. All legal properties are properly registered. Use a reliable lawyer when you buy, these are extra costs but avoid headache. I hope the property market comes up again, this will be beneficial for all who live in Spain. Here is another one espousing “reliable lawyers” and the “naivety” of ignorant buyers. It sounds like someone who has just awoken from a long sleep, rubbing his eyes, unable to believe that there is any such things as bent lawyers, politicians, estate agents, developers, who will happily lie through their teeth and cynically break the law in order to destroy peoples lives for self-enrichment. Do wake up Rip Van Winkle Cale! Spain could help itself recover by proper regulation of it’s whole property industry from top to bottom, but it won’t do that. Before building even more urbanisations it should concentrate on getting rid of it’s huge glut of unsold properties first. It needs to cut it’s property taxes and other costs but Spain is too greedy to see the obvious. It needs to speed up it’s court cases before mis-selling developers and agents have time to clear off unpunished, but it won’t do that. Until Spain address these and many other problems including black money and illegals builds, crooked town halls, etc etc Spanish property will never feel safe to invest in whether for profit or lifestyle. Not forgetting it needs to weed out all the crooked politicians allegedly! If you are a Spanish resident, your life must be difficult. Of course normal property is officially registrated. Of course there are reliable lawyers. Why so negative? I realize very well that lots of things are wrong in Spain, but look around you in the rest of the EU; is that all so good? And suppose that you are right that it is all so bad in Spain, than I prefer to cry under a palm tree in the sunshine than in cold, miserable and rainy northern Europe. Cale, I’m not sure what planet you are on but you seem to have some very serious knowledge gaps and obviously do not know what you are talking about. It has now been very well established that the so called “illegal” builds were in no way the fault of the owners and all the lawyers in the world would not have saved them or their houses. Please try to keep up. Spain needs to radically reform its restrictive and hostile practices if it wishes to join the 21st century and become successful and the only people stopping them for doing this is “Spain”. End of. Not only are tourist numbers up again, but the number of mortgage approvals has surged over the last 4 months. The fall in oil prices is predicted to give a boost to economies generally too. All great news! Hopefully this will benefit even the Brits wanting to sell their properties. Can’t understand those lemons gloating over difficulties, whether they affect 40 million Spaniards or 5,000 Brit expats. Not such great news though is the Eurozone potentially on the verge of another recession, one has to be careful with Spanish property therefore and I will say and say it again, with buying and selling costs for Spanish property approaching 20%, it could take a very long time to see a profit on your property purchase, safer markets elsewhere including the UK. An illegal building does not have a (correct) escritura and is not(correctly) registered at the catastro. So if you have a bought a property like this you have been very naive. Tip: Before buying, take a (small) mortgage from a local bank and its manager will check if your property is legal or not. My planet is planet earth and I have been buying 5 houses over the years, slowly improved my properties, without any problems. With great help from lawyers and bank managers. It helps to throw off a bit your British culture and try to speak Spanish. This will be of great help as well. If you are not able to maintain at least some respect for the country you live in, you do not belong there. Easy enough to google “Spanish surge in mortgage approvals over last 4 months”. If you do you’ll see statements like this- “The number of new Spanish mortgage loans signed in the last four months has risen by between 19% and 34% year-on-year, the first sustained period of growth of this magnitude since the market turned down seven years ago.” Of course, if you’re a lemon and you hope for worse things for the 44 million people living in Spain you can always cling to the Eurosceptic dream of further recession in Europe. Except that lower oil prices mean in fact higher growth is now forecast for European economies next year. Great news for the Spanish economy, maybe even a glimmer of hope for remaining Brits who want to sell up. Bad news for those who like to gloat over other people’s misfortunes. Cale – you ARE missing the point of these “illegal” houses. They had been deemed legal when the buyers went through the buying process. Only after everything finished did they then get deemed illegal because money had changed hands and they were built on land they shouldn’t have got licences for. How does your tip work in that case? The bank manager, lawyer, police and town hall would all have said they were legal when bought. Years later they were deemed illegal. How can that be avoided except via clairvoyance? Cale, not only are you wrong, you are extremely patronising. I am sorry to disappoint you but I own a property in Spain that is as legal as any property in Spain can be but other people are not that fortunate and I joined SOHA to offer them my support. The world and its dog knows that the Spanish legal system is full of holes and offers no protection to property buyers with laws being changed retrospectively. To say these people did not follow procedure is just a cop out to make yourself feel better. In this particular instance, what has speaking Spanish got to do with the price of fish? That would not have helped any of the victims and many of them are Spanish anyway. Whatever point of view you may have, the fact that these properties were demolished means that there is a very serious problem with Spanish property laws and this is why the Spanish property market has been relegated to the Vanarama Conference League. Respect is not a given, it has to be earned. I do not live permanently in Spain, I have a holiday home in Spain which means I am entitled to express an opinion on this subject. What nationality are you and what is your special interest in this, are you trying to sell or are you an estate agent? Aha thought so! For ‘Give Us A Quid’ read ‘English Damp Squib’ he’s back fresh from SPI with talk of lemons I believe and he’s posted similar there too. Almost rhymes too, how sweet? And weren’t you the Tesco shares gloater and misfortunes, yup you were? But wait a moment, mortgage lending rose in June from a very low base to approx 17,000 but it had fallen in April and May and is but a smidging of the 100,000 approvals a month during 2005-7. However prices fell in August. This appears to originate from both SPI and Viva saying the same thing, cahoots perhaps? It does mention regarding June’s figures ‘the increase signals a slight cause for optimism’ but takes no account of the threat of another Eurozone recession being touted. I am Dutch and I am already 20 years resident in Spain. I do not represent a business. I have been living in all my properties and presently own a small horse farm in Galicia. SOHA (safe our homes in axarquia) sounds to be an organization of Brits having bought properties on ilegal ground. Sorry Jane; ilegal is ilegal – check before you buy ! And yes, respect you have to earn and that starts with visitors from a different country. How arrogant of you to demand respect from the Spanish. You are the visitor. So behave, don´t buy ilegal properties and have respect for Spain and the Spanish people. Por favor ! Cale, I have a second home in Holland and thought the Dutch were a highly intelligent people. Then I read your comments and have doubts. Are you serious? Check before you buy? That’s what a lawyer is for, Cale. That is what a legal system is for. People have had their properties retrospectively made illegal after being told ny a legal system that it was safe to proceed to purchase. People living in Spain are not “visitors”; they are residents and taxpayers of a European union. SOHA has people from all nationalities. The Spanish are just as affected by illegal properties as the British. And why is it arrogant to demand justice? How on earth did you get so badly educated about things Cale, or perhaps you are just another troll winding people up? I actually think the latter because you could not be that stupid. yiu are an arrogant disgrace to the Dutch people and I’ll bet they are glad you have moved to Galicia. Galicia the home of Franco (who has never really died there) and it is still run by the old Fascist families. I used to live in Ortiguera and still have very good friends there. You are een zeer grote lulletje yes my Dutch is not so good now I lived there over 30 years ago but the comment is helemaal precise. When buitenlanders visit my country I treat them with respect, that is what I received from the Dutch people when I went to work there (legally). Your English is very inferior for a Dutchman, I know Dutch youngsters that speak it way better than you. There is another word that describes you very well klootzak, u klop dat wel. Well said Fred although perhaps we should also thank him for keeping the so called “illegal” building story alive – thousands of people will be reading this and be put off buying property in Spain. Remember, only a fraction of readers make comments. Cale, when people from an EU member state purchase property in another EU member state, they have the right to expect certain standards to be met and to have a reasonable level of protection. If Spain cannot produce an adequate legal system then it is not fit to be in the EU. 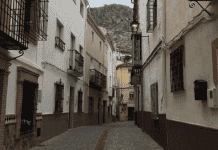 There are not just one or two “illegal” properties in Andalucia there are several hundred thousand. The sheer volume suggests that something is very seriously wrong and the Junta de Andalucia are to blame for not policing their region – the buck stops with them. They had years to stop these houses being built but they sat back and did nothing. The vast majority of these buyers, mostly Brits and Spaniards but many other nationalities as well, bought these properties in good faith using reputable Spanish lawyers who carried out all the appropriate checks. If you do not believe me, please contact either SOHA or AUAN and ask to speak to one of the victims directly. They will be more than happy to go through every single minute detail with you and give you a very detailed account of exactly what procedures they went through and the subsequent sequence of events. That way, you do not have to take my word for it, you get it straight from the horse’s mouth. Mario Blanke of SOHA is Flemish and he will be able to communicate with you in your own language if you prefer. These “visitors”, as you put it, have invested millions of Euros into the Spanish economy and while these visitors were still living in their “illegal” houses they were contributing to their local economies. These people went to Spain with independent means/good pensions and were contributing, not taking benefits. This brought much needed economic activity and employment opportunities to what had been very dead towns and villages. Thousands of expats (and their money) have left now and that has all gone. The future is very bleak indeed for these places all of which have a shrinking population and zero economic activity. I agree with Cale’s comment earlier that a reliable lawyer prevents a lot of headaches. Unfortunately it isn’t always easy finding a reliable lawyer. We were fortunate that we did find a lawyer, now retired, who was not only reliable but also not lazy. We looked a house and fell in love with it and wanted to put in an offer for it. The lawyer aid that all the paperwork looked fine, but she went the extra mile and compared the paperwork with satellite photos. This showed that on the date that the architect and the bank signed papers confirming completion of the build, it hadn’t even started. Obviously we pulled out. So, a reliable lawyer can prevent heartache and not all lawyers are cortupt or lazy. Yes, some people have been conned. But not all people in “illegal” properties are totally innocent. Not so long ago there was uproar about a development of wooden houses that were going to be bulldozed, all blame put on the developer. However, some of the owners admitted that they knew there were problems but accepted the developers word that he would sort it, so they bought. The developer disappeared. These are the ones that are naive. Would they have bought like that in UK. What I am trying to say is don’t tar all lawyers with the same brush and not all owners of illegal properties are totally innocent. Many are but don”t ignore those that were naive or stupid. You’re not wrong Steve but a big problem in Spain is how on earth new buyers can find a good or reliable and honest lawyer? Quite often estate agents and developers recommended their own ‘in bed with them lawyers’, it probably still goes on. In reality it’s a lot more than ‘some people have been conned’ , more like 100’s of 1000s by agents developers and lawyers. It all boils down to the fact that Spain years on from it’s huge property crash has still done diddly squat to regulate the property market, has done sweet FA about speeding up Court procedures, rips people off for transaction charges, and still accepts brown envelopes. Until it sorts all this out with serious intent, people will continue to be conned and ripped off, Spain’s property market is unsafe to the unwary! I’m glad that Mike cannot dispute “The number of new Spanish mortgage loans signed in the last four months has risen by between 19% and 34% year-on-year”. Of course we can waffle about 2005 or 2007 all we like (aren’t you constantly talking about a point in time when the pound was worth 1.65 euros? lol ) But neutral observers can see the market is on the way up, and lower oil prices will mean a stronger economy over the next year. Unless you really need to buy a garage for £2 million in London of course – good luck to you! Steve, there may have been a few people who sailed too close to the wind but they are in a minority. Take a closer look at the figures, there are an estimated 300,000 so called “illegal” properties in Andalucia. If there were, for example, 500 illegal properties one might feel inclined to write it off as a fair cop but 300,000? Think about it, what are the chances of 300,000 people all being stupid and naive and all using inadequate lawyers? Not much I would say. You asked if the people with the wooden houses would have bought in the same way in the UK. Well yes, they probably would have but the outcome would have been very different. They would have instructed their solicitors who would have carried out searches and then liaised with the other side and the problems with the developer/planning would have been revealed. That is the difference between the two systems – the UK one works and the Spanish one clearly does not and that is why the UK system is so well trusted and respected and the Spanish system is not – in fact it is not even fit for purpose. Does anyone really think there would ever be a situation in the UK whereby 300,000 illegal properties had been built? My property in Spain is as legal as any property in Spain can be but much depends on where you buy your property and the political party than runs your local town. That is why the properties laws need to be reformed. I realise that people find all this very frightening and difficult to come to terms with but it is far better to face it and deal with it than pretend it doesn’t exist. You don’t like the UK by your posts on SPI etc but love Spain so why don’t you call yourself ‘Give Us a Euro’ to add to your list? If the market is on the up in Spain why don’t you buy and live in Spain full time? Oh you tried that already. The truth is, Spanish property is high risk with it’s huge glut of properties, possible new Eurozone recession coming and high transaction costs, whereas it’s low risk in the UK. An average priced property in both countries is far more expensive for costs in Spain. New UK stamp duty reductions for average property has been introduced to ensure the market will remain buoyant. You’d be mental to load yourself up with a mortgage in Spain. It’s a country going nowhere on the employment and business fronts. Spain gets stick from the majority of you lot,I bought a house in Galicia love it love the people and superb value.And if you buy a 100 year old village urban home little chance of illegal build!The Costas are full of houses where Builders did not even ask for planning and just built!Look if you did that in the Uk it would be knocked down even faster!Spain in my view is a great investment right now! The premise of the thread title is correct – the increase in transactions in Spanish property will aid economic growth. According to Arcano ” for every point of GDP construction goes up or down, 230,000 jobs are created or destroyed. This will mean the creation of 530,000 jobs if, as they estimate, the property sector grows from 5 to 7.3 per cent of GDP over the next few years.” So it’s not just property sellers (expats as well as Spanish) who will benefit. And it’s looking good now that mortgage numbers are starting to rise again – foreign investment is buoyant (41,493 homes bought by foreigners in 2014), but a healthy domestic demand is needed. The fact that mortgage lending is going up is a welcome sign for the industry. It will never reach the excesses of the early 2000s, but it will provide much needed jobs and an economic boost. Not read this thread before. Does GUAQ get a quid everytime he mentions SPI? Ironic they hound people off their website with threats and then troll and harass them on here. There’s also a law in Galicia that says no construction is allowed within 100 metres of a ria – absolutely true for foreigners but not if you are connected to the old Fascist families that still run Galicia. Also not true about old village houses. Many houses in Galician villages have no escritura and have been abandoned sometimes for 100 years or more but illegal or not they still belong to the descendents of the emigres. BTW – you must love the sometimes unbearable humidity and the unrelenting wind and rain – Ribedero/Viveiro/Ortigeuria/Ferrol/A Corruna/Orense/Santiago know them well and the damn weather – you can have my share with pleasure. And whatever you do do not offend anyone connected to the old Fascist families that still run Galicia, on the other hand the ordinary people are lovely but have not lost the habit of making sure that no one can hear them say anything negative about the elite – in the past it meant a knock on the door and a walk in the dark from which you never returned. @medjooldatepalm your post is somewhat confusing as you say ‘builders did not ask for planning but still built them anyway’ so not a safe bet in that case, but ‘a 100 year old village house has little chance of being illegal’ so a relatively safe bet, and if that was the case in the UK they’d be knocked down, surely that makes the UK safer for investment then? You then qualify all that by saying in your view Spain is great investment right now, which is contradictory/misleading. As far as investment goes are you saying that 20% buying and selling costs make it a safe bet for investment? Any property purchase would need to rise 20% to break even which you need to factor in, let alone a profit for investment.